I look around me at the imposing hills which embrace the harbour of St. Jacques and wonder what the earliest settlers who cleared trees from the shoreline to build their rudimentary, primitive houses were thinking about when they gave them names. 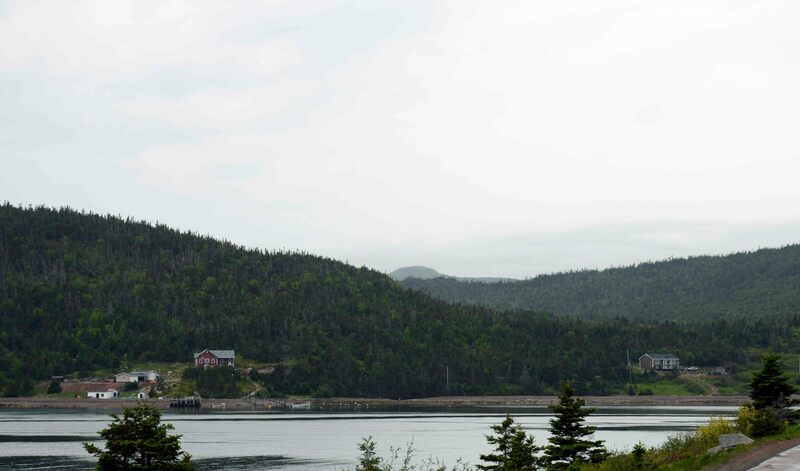 Parallel to the waters of Fortune Bay, overlooking the eastern side of the community is a hill that emerged almost directly out of the ocean and forms a protective arm to St. Jacques Harbour. It is at the base of this hill that a great deal of the commercial history of the community unfolded. On the Fortune Bay side of the hill the beaches of Back Cove mark its entry into the sea. On the harbour side its transition to the sea is marked by the wharves of fishermen. This is St. Jacques Hill. The only printed reference to its name that I have been able to locate is on a land grant from 1897 where the surveyor’s bearings note that a direction on the document points to St. Jacques Hill. If you stand on that spot and look in the compass direction provided by the surveyor your eyes come to rest on a space above where the old Presentation Convent was located. The hill adjacent to St. Jacques Hill offers an explanation of the origin of its name – Winterhouse Hill. 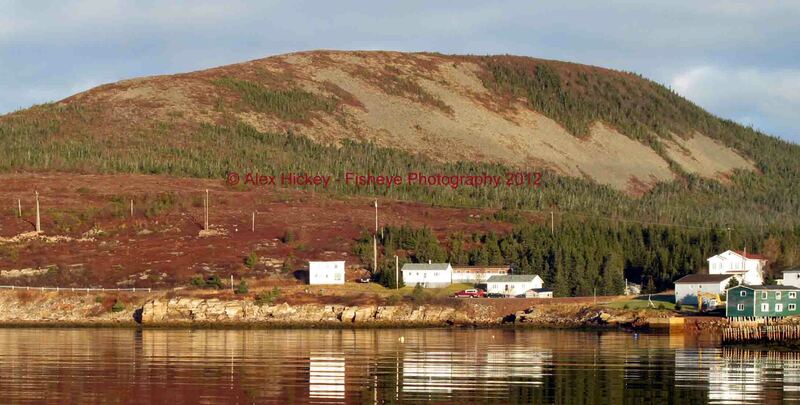 Winterhouse Hill stands with an exposed cliff to the community and its back to Fortune Bay thereby sheltering most of the harbour for easterly and north-easterly winds. Early settlers in many parts of Newfoundland were hunters-gatherers-fishermen who migrated to a location other than where they lived during the summer in search of shelter, firewood and food sources during the winter months. (Encyclopedia of Newfoundland, Vol. 5, p. 594) They moved inland from the shore during harsh winter months to be near wild game, to have easy access to a fuel supply and perhaps, most of all, to seek shelter among the tall trees near the base of the hill from the cold winds and snow that blew in from the waters of Fortune Bay. On the other hand there is Hare Hill on the southwest side of the harbour. The origin of this name isn`t obvious and I have never heard a local explanation of its name. I was an adult before I found out that the creatures we hunted in the woods behind our houses were Snowshoe Hares and not rabbits as everyone called them. 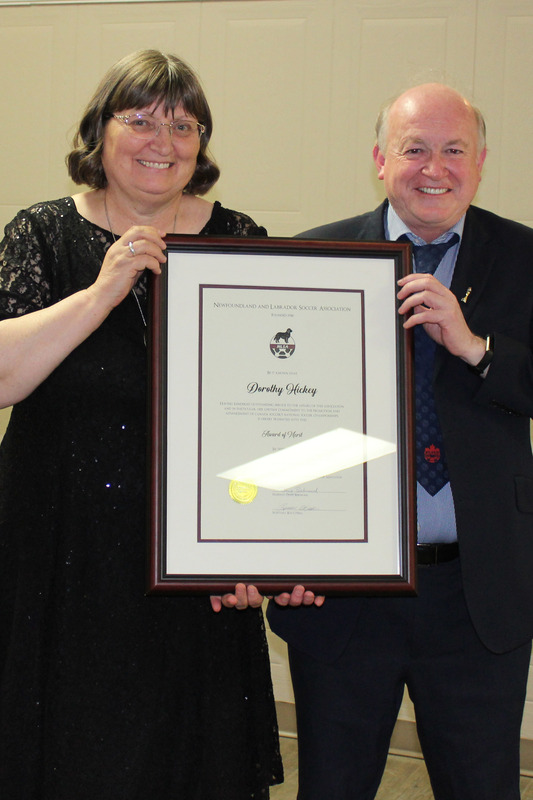 The Snowshoe Hare was introduced from Nova Scotia into Newfoundland between 1864 and 1876 by Stephen Rendall, president of the Newfoundland Agricultural Society. They were shipped in crates and released by Magistrates in all parts of the island. (Encyclopedia of Newfoundland, p. 834) It is understood that this was done to increase the food supply of small game and to provide opportunities for hunting. It is plausible that in St. Jacques the local magistrate of the day chose to release a pair of hares into the woods in the area of the harbour that had the least human population and regardless of the name that may have been attributed to that area prior to this, it became known as Hare Hill. Beyond the Hare Hill, its peak visible onlyfrom certain viewing angles in the harbour is a hill known as Buttercup. It is located at the entrance to Blue Pinion Harbour. The name seems to derive from the common flowering plant ranunculus or buttercup; a bright yellow flower which may be viewed as an enhancement or a weed. In St. Jacques children would hold a buttercup below the chin of a playmate to determine if that person liked butter. The answer to the question became evident if there was a yellow reflection cast from the flower to the underside of the playmates chin. Buttercup Hill is 605 ft. above sea level. 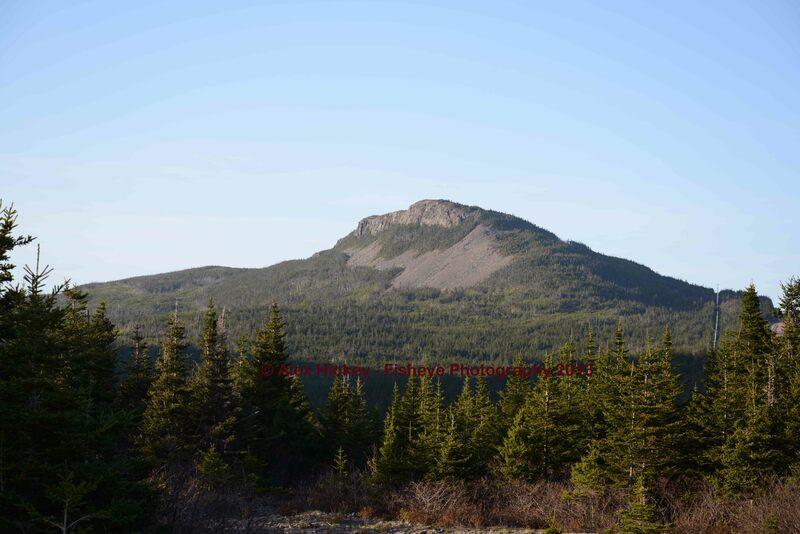 It ranks as the 654th highest mountain in Newfoundland and Labrador and the 13,176th highest mountain in Canada. On the north side and set back from the community is Bungay’s Hill. One would expect there to be local history around the person after this hill was named, yet no one seems to know. 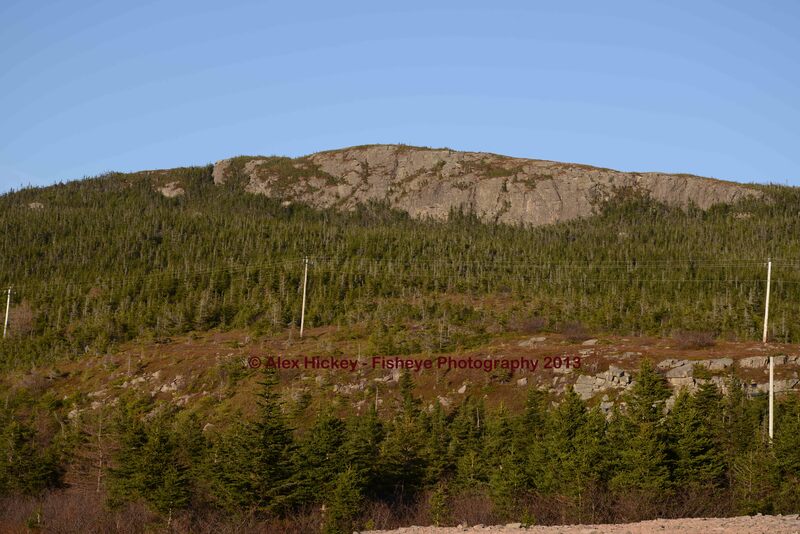 A magnificent cliff face fronts onto the community with a rocky debris field, properly called talus but locally known as rubble, between the tree line and the top of the hill. The drive to the community of Belleoram takes you up a steady incline as you approach Bungay’s Hill. This affords a delightful view of the landform as it draws nearer. 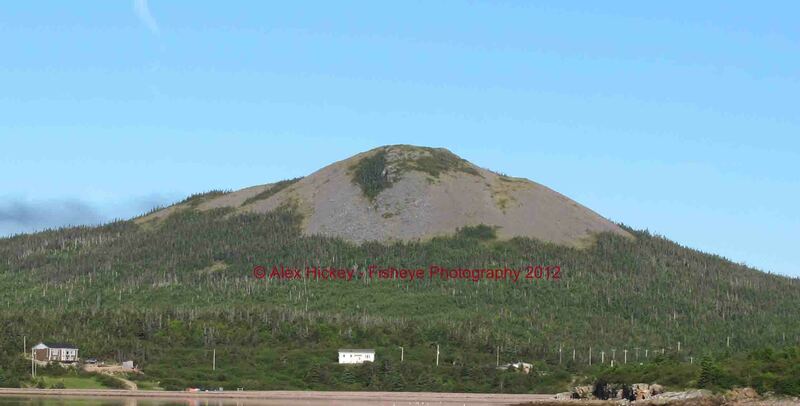 Then there is the hill whose name is even less accessible – Bottle Hill. Bottle Hill neither resembles a bottle nor has any known connection to glass or glass works. It stands prominently against the western sky and attracts the eye of anyone looking upon the harbour from the east or north. Its green forested slopes of balsam fir and spruce give way to exposed boulders which form a collar around the hill. At its top is a thin layer of topsoil supporting a variety of berry bushes and low-growing shrubs. The name Bottle Hill is found in County Cork, Ireland and near Devon, in England. 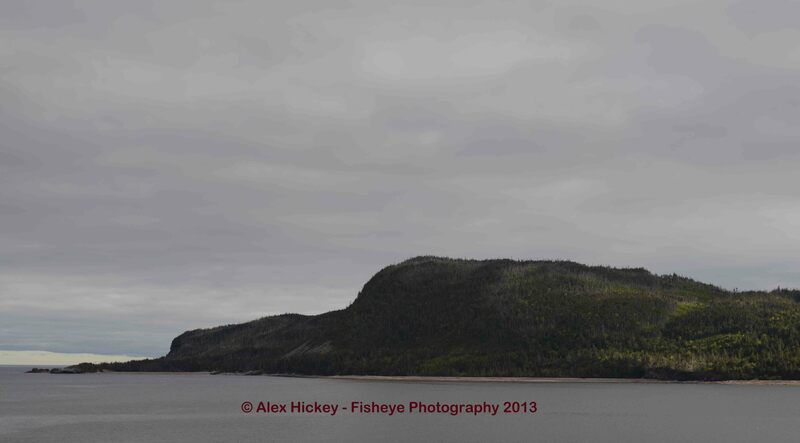 Given that many of the settlers on the South Coast of Newfoundland came from England, who knows; perhaps it was a bit nostalgic to name the hill after a feature back home. There is also a community in Northern France called La Bouteille (Bottle). We know the French occupied the harbour for some time in its early history, so who knows. Finally we come to Big Hill. How unassuming can one be naming such a geographic feature? Big Hill rises gradually from the ocean and extends for about a kilometer northwards; its sides covered with low growth plants and trees. Like Bottle Hill it sports a rocky area on its eastern side. Should you hike to the top of Big Hill in mid-July and make your way back over the hill you’ll come to a small marshy area which supports the delectable bakeapple berry. As children we would never pick them because we knew that Mr. Joe Drake would be making a trip up the hill once he felt they were ripe enough to pick. If you make the trek in August allow a bit more time than normal because of the proliferation of delicious blueberries along the path. Take a container with you and the trek takes even longer! September is another time to climb and feast on the tart partridge berries which grow in open spaces. There is no doubt that it is a big hill. This becomes obvious to anyone who has climbed its sides and walked its entire length. 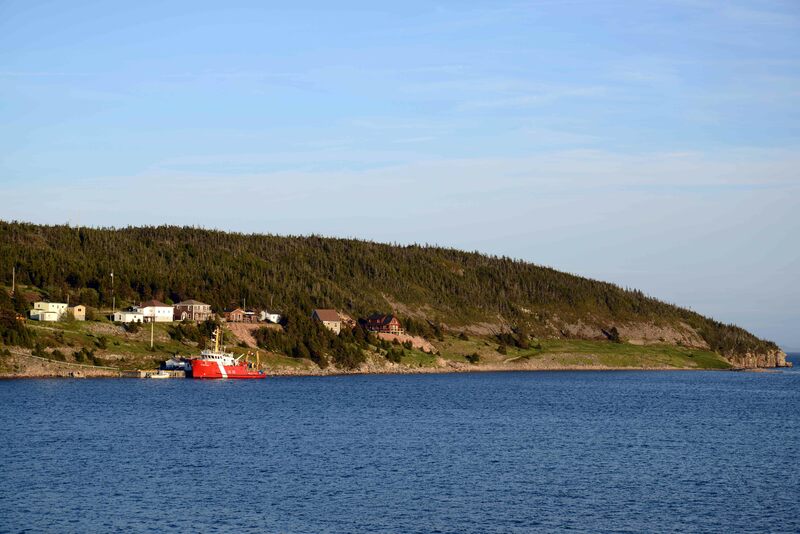 The top of this hill gives you a panoramic view of Fortune Bay and all of the surrounding countryside, coupled with a birds-eye view of St. Jacques. In this case the going up is much harder than the coming down. If you walk around the harbour of St. Jacques look carefully at the seven hills. Think about their names and the fact that the names have been there all of your life and for all of the lives of your parents and grand-parents. Their names will be passed to new generations and long after your name and mine is forgotten folks will still refer to Winterhouse Hill, Bungay’s Hill, Big Hill, Bottle Hill, Buttercup, St. Jacques Hill, and the Hare Hill. 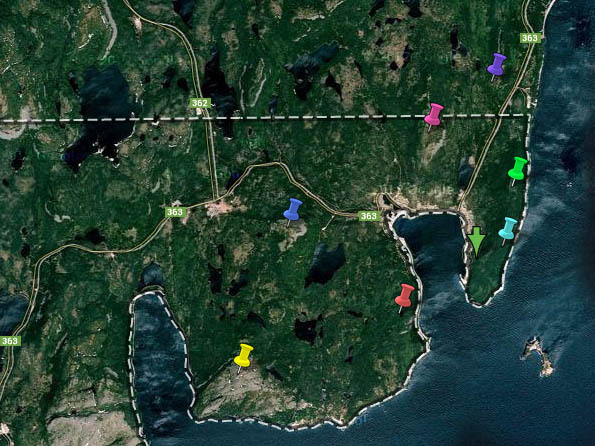 Below is a Google Map view of the seven hills. Zoom in for a close-up of each hill or zoom out to see the big picture, to view the topography of the hills. You’ve never felt the wind in your hair, until you’ve felt it while standing atop Big Hill! Love your pictures, Alex. My favourite is, of course, Bottle Hill. :>) I have seen several others you have taken of it.